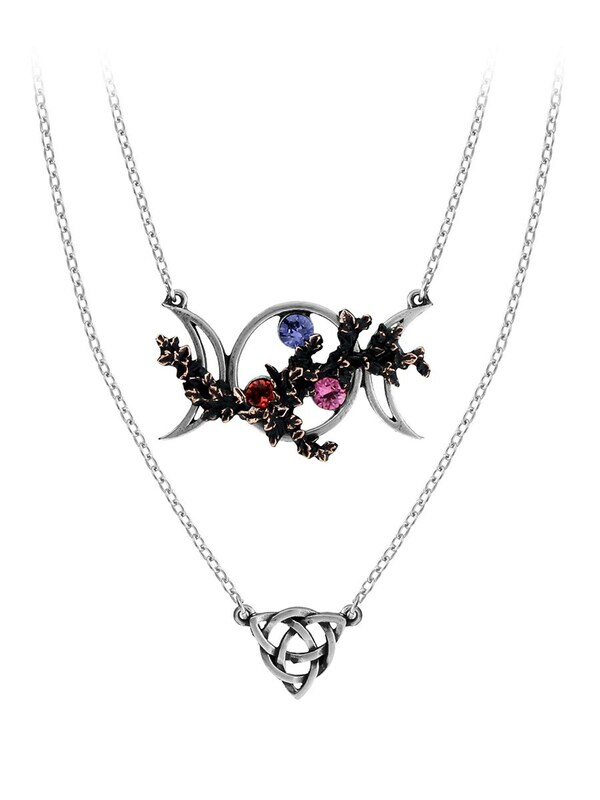 The Triple Goddess of Wicca, 'Maiden-Mother-Crone' is captured in the three phases of the moon on this stunning necklace from Alchemy. 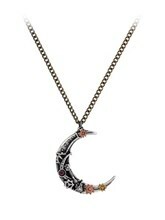 It's a double-chain necklace with the main feature being a pewter triple moon symbol holding three Swarovski crystals, each differently coloured to represent spiritual values, and the whole overlaid with a bronze plated bough of pewter ivy. The second smaller piece is suspended below on a longer chain and is a pewter, Celtic, interlaced Triquetra symbol. 18" (46cm) overall plus a 1 ½" extender chain.